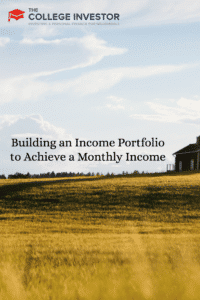 Investing seems pretty straightforward, until you are faced with the simple question: “How do you actually generate a monthly income from your investments?” Then, things can become challenging. Investing no longer becomes a “stash it away” objective, but rather, an art of generating money to live off of. And it’s easier said than done. For example, Suze Orman, on her show, regularly tells people: “You just need $700,000 so that you can earn $3,500 per month.” But how do you exactly earn $3,500 per month with $700,000 in investments? Let’s break it down, as this is one of the biggest challenges you will face. The hardest change that people have to make as they approach retirement is changing from a saving mentality to a “needing” mentality. I avoid saying “spending” because it’s not spending, per se. Instead, it’s a needing mentality because you need your savings to work for you. It’s not that you’re going to spend it, but rather, it’s because you’re going to be using it to earn money for you. When you’re young, graduating from college, you’ll have most of your investments in stocks. For the most part, stocks don’t generate a ton of income (although some do). As you start needing your investments, you need to change your mix to have more investments that earn income. Just like any other investments that you have, as you transition to needing a monthly income from your investments, you should build a diversified portfolio of these assets as well. The reason is because each of these types of investments have different risks and rewards. For example, certificates of deposit are essentially risk-free if your money is held at an FDIC-insured bank. Meanwhile, REITs and MLPs are a lot riskier investments. Plus, each type of investment generates a different amount of income — all relative to their risk. So, CDs typically yield the least, while REITs and MLPs pay out the most. You’re essentially being paid for the risk you’re willing to take. Now that you understand the basics, it’s time to put together a model portfolio for income generation. Diversification is key, and depending on your age, you may not want to have your entire portfolio set up for income generation. In fact, if you’re young, you may still want a solid stock/growth portion of your portfolio and an income generation portion of your portfolio. Here’s a good sample income-generating portfolio, with estimates for how much it will generate per $100,000 invested. Total estimated annual income: $3,547.50. As you can see, $100,000 doesn’t generate that much for you, conservatively. Think of how much you could generate if you had a $1,000,000 portfolio. If you want to earn more, you can always invest more in riskier assets, but that’s not always a smart move if you need the income. The portfolio above assumes a CD ladder over five years, which is why I call it the “average” interest rate. This is smart because it will prevent you from locking up your money and not being able to take advantage of interest rate changes. If you push more of your portfolio into dividend-paying stocks, REITs, and MLPs, you will certainly earn more, but these investments are more volatile, which can make you lose principal. Finally, if you invest in bond funds, you run principal risk in general, which means that you could lose principal simply based on market price movements. Bonds funds are riskier than just owning individual bonds, as we’ve explained before. So, if $100,000 can earn you roughly $3,500 per year, how much do you need to have saved to live off of? It all depends on your monthly expenses, but most people will need at least $1.2 million or more saved to live comfortably in retirement simply on investment income. If you follow our plan to be above average for investing, you would have over $2.5 million saved in just your retirement accounts, so you could earn twice that per month. Wondering how you can actually craft your portfolio allocation and see the income from your returns? Try signing up with Personal Capital. It is a free online platform which aggregates all your financial accounts in one place so you can see where you can optimize. What other tips do you have for monthly income investments? For young people, I think it’s probably better off to concentrate on stock. Do you think they should put much in bond? As you get closer to retirement, it’s a good idea to have some stability, but when you’re just starting out, it’s better to take on more risks. If you’re still in the accumulating phase, then yes, I think stocks are key. But if you need income, then you need to consider something like this. I don’t think it’s always a question of age either – think of Mr. Money Mustache who is retired at 30… You may be able to pull it off!